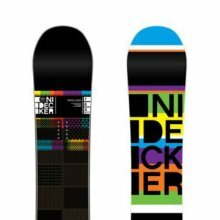 The Nidecker Platinum with Camrock has changed a ton from the old camber ride i used to have in the 00’s. That was a mean aggressive super bomber. This is a much more playful and friendly do anything kind of ride now with almost everything different than the old board. The Nidecker Platinum split into two models in 2013. Now it’s made with traditional camber and their new “Swiss Core” and also in Hybrid Camber which is what they call CamRock. This is the CamRock version and it’s much more forgiving than the Swiss Core Camber version. Still it’s an aggressive all mountain board but it’s just not as aggressive as the older stiffer camber model. In 2013 they had the Platinum Camber SC but in 2014 it’s no longer available. 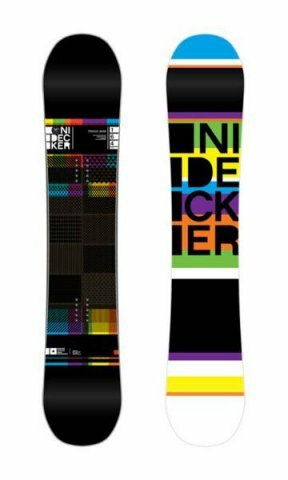 Most of my experience is with the Platinum Camber from 2007-2012 and then Nidecker pulled out most of their boards from the US in 2013. I don’t know much about the Platinum Camrock but it’s hybrid camber profile combined with a mellow magnetraction type side cut seems very appealing. It seems like a stiffer more freeride version of the Jones Mountain Twin and that is not a bad thing. I always thought the Platinum of old was almost too much of a beast so adding a softer flex (still pretty stiff though) and hybrid camber to the profile was a great idea for the average rider. It would be nice to ride this and also see it in the US. We try to get as many images of the Nidecker Platinum, but forgive us if they're not all there.